There’s a variety of different social media channels for those that are interested in exploring their social media options. Some channels fit better for some social media strategies. Not all channels are a great fit for everyone and not all channels are great for every social media strategy. Social Media is still evolving, we are all learning as we go and most will continue to try out different channels to explore what is a fit for their brand. This is all a part of the growing process in this technological boom that we are experiencing now. It is unfortunate when people have bad experiences online with different platforms. I believe that in any arena there can bad experiences and there can good good experiences. I have experienced a few obnoxious people on a few social media channels but never anything extreme or anything remotely considered to be in the douchebag category. Further, I haven’t experienced a conglomeration of douchebags on any channel and this includes Empire Avenue. I usually don’t speak out on what I hear others say about various online channel and I usually keep my opinion of their vocalizations to myself. However, I felt a need share my thoughts this time because I was a part of group that held an extended conversation about how the people on Empire Avenue are douchebags. I have come across a few people that have been less than desirable on some of the social media channels, but honestly not a lot and nothing really extreme. They were just a little annoying at best. I do realize that not everyone will agree with me and my social media strategy and vice versa. However disagreement does not necessarily make a person a douchebag. Disagreement on any issue should not put them in the douchebag category. There are NO two people that will totally agree on everything, that is a part of human nature. Having a difference of opinion than another person should not put them in line to be labelled a douchebag. Similarly, if one choses not to partake in a certain platform, those that do so should not be considered douchebags. For the past year and a half I have been playing Empire Avenue and I have yet to stumble upon one douchebag, not that I even use that term. What I have found has been a platform with amazing people that have an amazing grasp on technological advancements, future technologies and Internet Marketing used to promote their businesses. There are people in Education, Real Estate, Accounting, Recruiting and more that have embrace this platform as a means to network and meet amazing people. 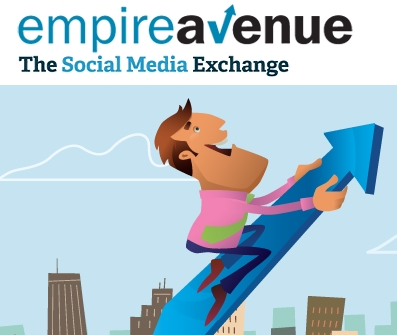 Empire Avenue is a great channel to monitor your own social media engagement and effectiveness. Additionally it can act as an amazing avenue to expand your network. I have found it to be an amazing channel to meet like-minded people of the non douchebag variety. Empire Avenue is like any platform it is good for your Internet Marketing strategy or not. You either click with the people or not but there is NO need to disparage an entire platform because you’ve had a disagreement with a person that happens to be on a platform. Social Media people should treat those that they meet online as they treat people offline, oh maybe that’s the issue. 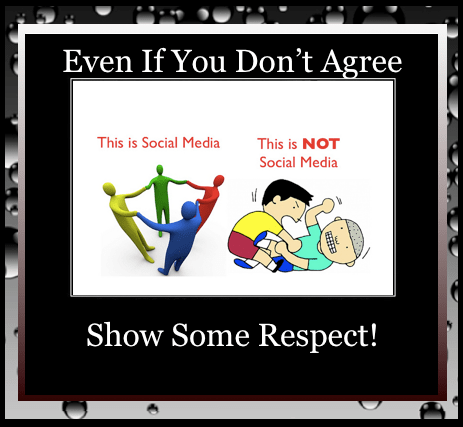 Even if you don’t agree, SHOW SOME RESPECT, Different Strokes For Different Folks! I just found this, Anise. I agree with you completely as fa as the treatment of people goes. Your last sentence, after the comma, has some truth. If you have a problem to get along with people online, what are you going to do when you meet a huge number of people offline? Empire Avenue is an awesome platform for social media business. That there is a game involved, is a different thing. Empire Avenue is a global platform and still small enough to be used for small town gossip. Naturally, groups are build, and groups develop their own dynamics. Sometimes that is a good thing, and sometimes it is not so good, just like in real life. When people feel that someone else is about to “upstage” them, some childish games start. With the game part involved, there is always a foundation for such. If it ever happens that Empire Avenue becomes big with hundred thousands or millions of users, the problem will solve itself. Other than that, I love it and I see huge potential in Empire Avenue. As far as connections, I connect with those that are willing to connect and leave those alone that don’t want to. After all, I have a lot of other worries every day. Nice article. Hope you are doing well. Thank you so much for reading and taking time to comment. I hope that all is well with you! You are so right! The bickering and pettiness can sometimes be a bit much. I guess this is primarily because I am a live and let live sort. I would love to see less bad, bratty behavior though 🙂 but I would really like to see Empire Avenue reach that 1 million dollar point. As a huge fan of the platform, that would be great for Dups & the rest of the team and the players. People are people. Everyone is different. We gotta accept that. Now, I respect you as someone who knows the ways of social media, Anise. Can you tell me why Empire Avenue isn’t the biggest shot of all social media platforms? I am trying to figure it out, but can’t find an answer.